Well as you all might have heard, well for those of you who follow tech stuff, that A new Tablet is out on the hunt to became the next “iPad” since Apple did and outstanding piece of work with the iPad. 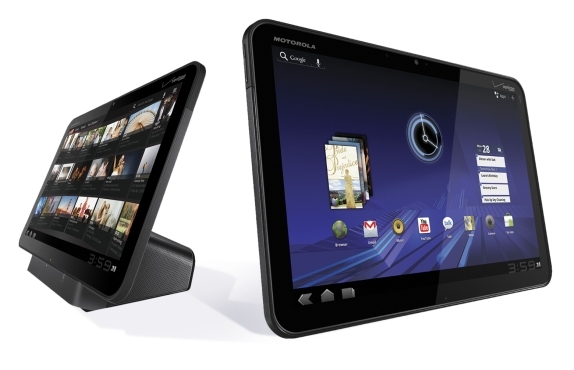 The Motorola Xoom which runs on Android 3.0 (honeycomb) looks pretty good and impressive for a Tablet running in the iPad league. In fact why is it that everything has to be compared to Apple products ?. In terms of looks i would say it pretty much lives up to expectations with that slick, slim and simple look. Comes in black and silver with 5-megapixel camera and LED flash combo and a small slot for a microSD card. Battery life is about 18-20 hours and it also has A 5 mega-pixel front facing camera for those conference calls. Well this Tablet proves to be very efficient and pretty much sums up close to if not equivalent to the ever popular iPad. The two tablets both have outstanding feature and well prepped specs for the modern day use of the internet and the business environmental. With the iPad 2 on the way especially now that the Apple iPad 2 Event in march is the most talked about topic on the net it should be interesting to see what happens next. 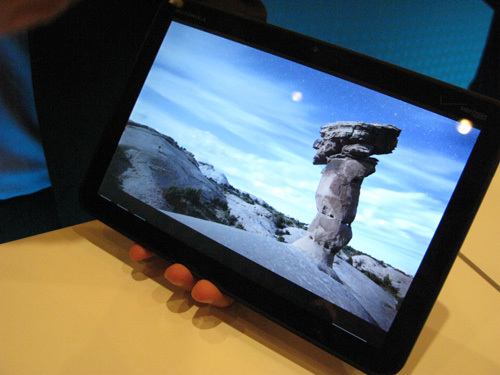 Do you think the Xoom is as good as the iPad ?